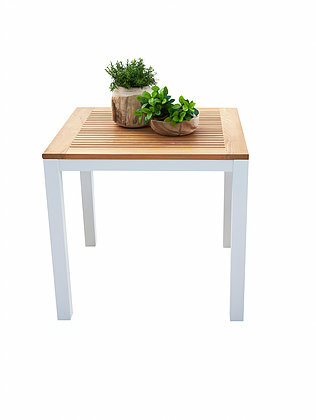 Teak top table comes with powder coated black and white aluminum frame. 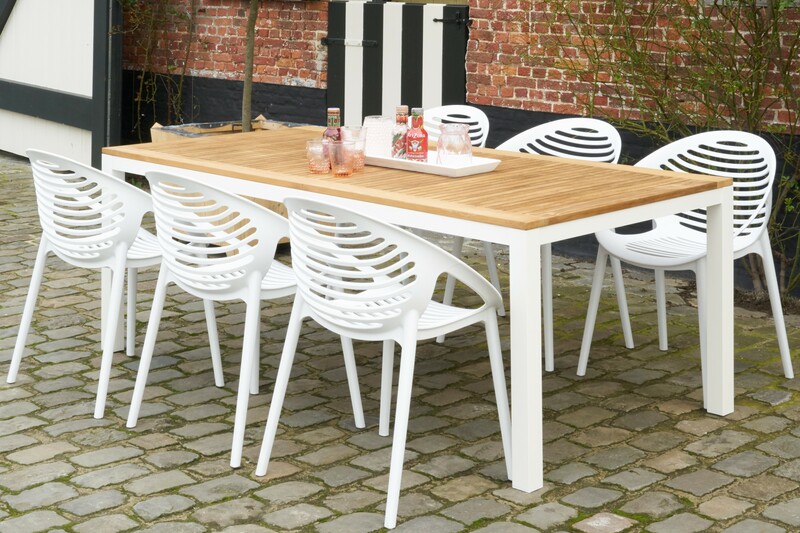 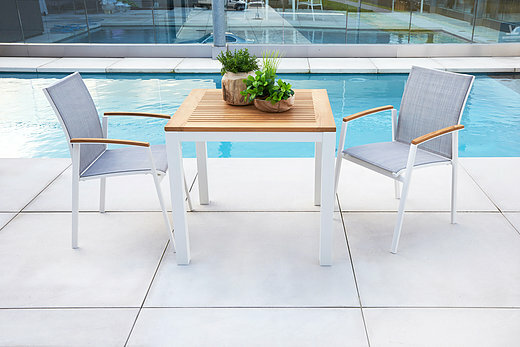 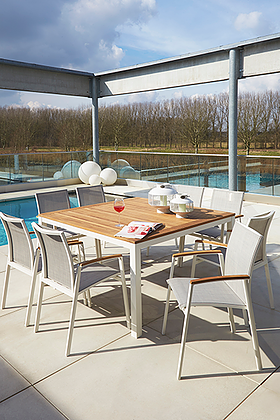 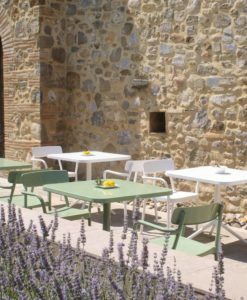 Complete your outdoor dining with matching dining chairs with teak arm rest and batyline mesh, choose from square or rectangular this collection is perfect for restaurants the chairs are stackable easy to storage. 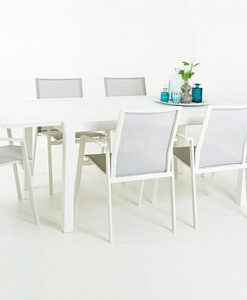 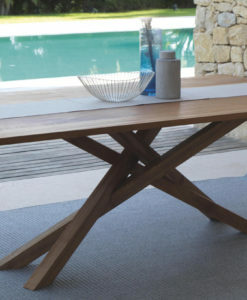 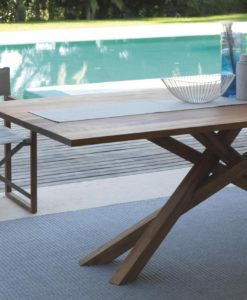 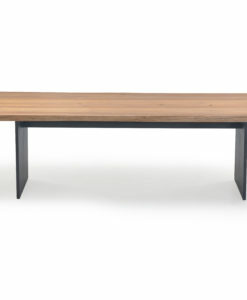 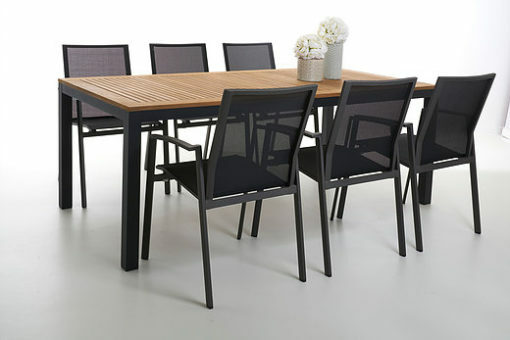 Contemporary Aluminum Teak Dining Table features sleek, finished lines making it perfect for any spot in your home. 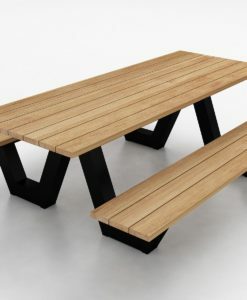 Made with A-grade teak wood and powder coated aluminum, this Contemporary Aluminum Teak Dining Table is both sturdy, as well as pleasant to look at. 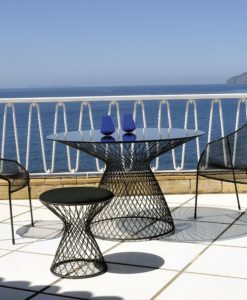 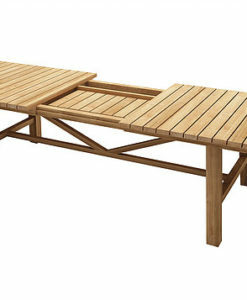 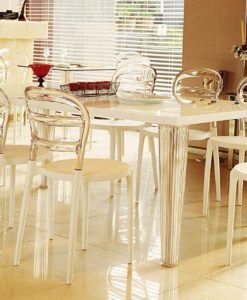 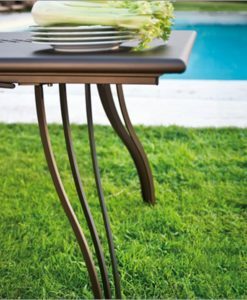 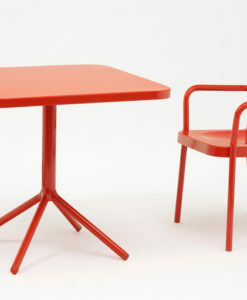 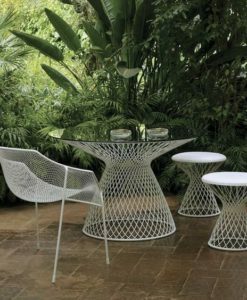 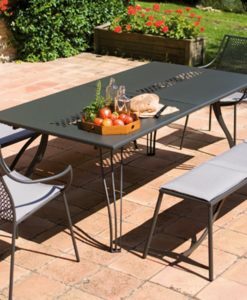 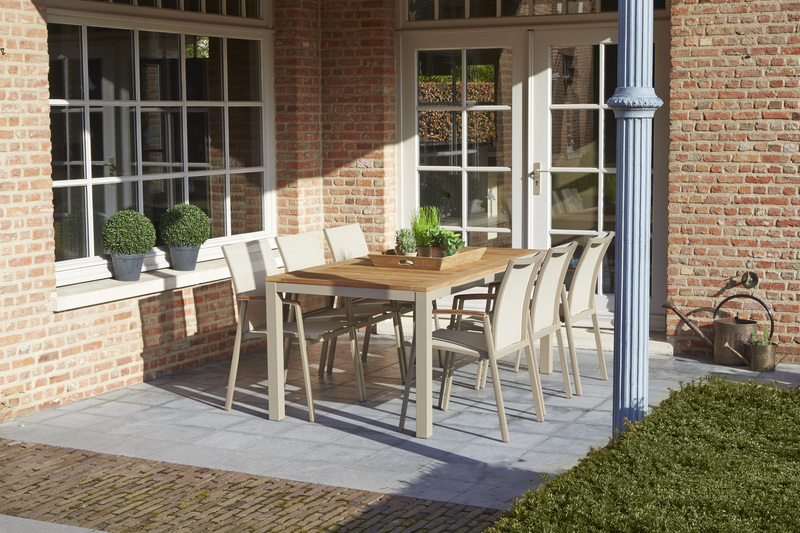 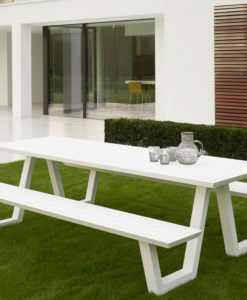 The contrast of the powder coated coated aluminum finish of the legs and frame against the teak top helps to enhance the overall appeal of the table. 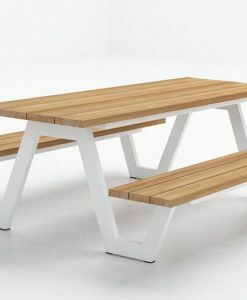 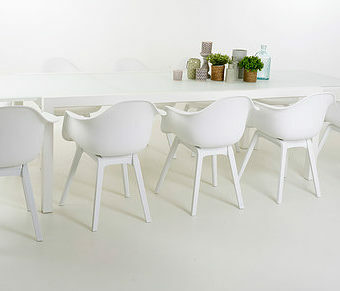 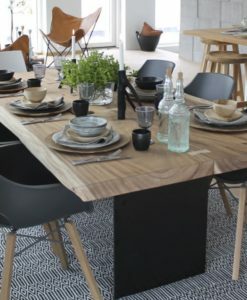 Enjoy it anywhere you need a dining table.